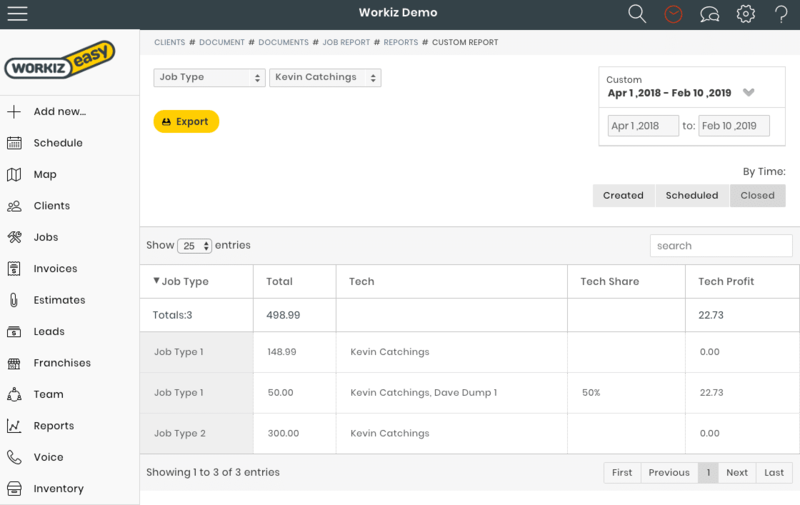 Workiz lets you create and save custom reports that fit your needs. Now you can get the information you need most as soon as you need it. 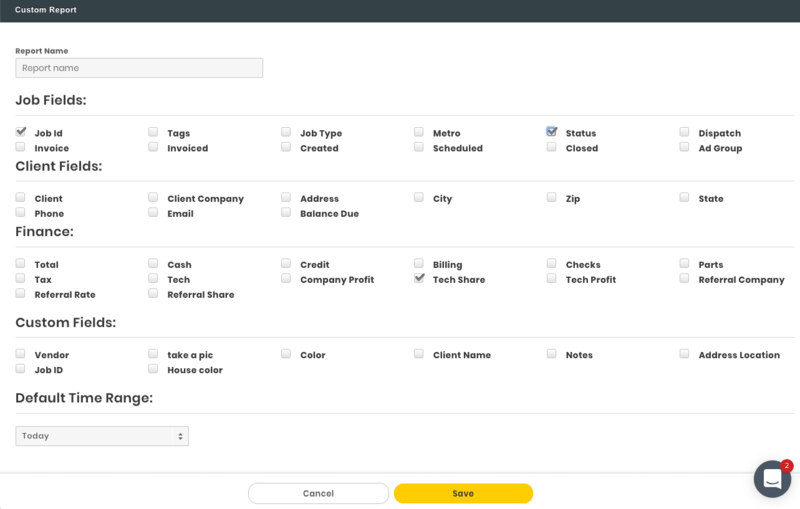 Name your report and pick your visible fields. You can come back to this report and edit it as needed. Numeric values will be summed as totals and like any report in Workiz you can always use the search line to narrow down your results. Assign custom reports for specific roles. You can now let your accountant or advertising agency get the report they need while blocking them from the entire account. You can even use advanced restrictions and reveal data for only certain service locations.